For the last 25 years, American Hunter has been committed to developing and producing the most dynamic and innovative game feeder systems on the market. In this article, we will review an American Hunter feeder that is designed to meet the requirements of everyone involved in the wildlife industry. For many hunters and wildlife enthusiasts, paying a little extra when it comes to reliable and efficient gear is a no brainer. 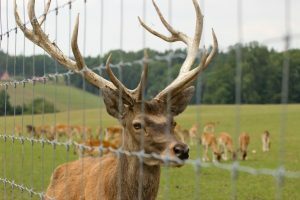 A feeder that is correctly used and regularly maintained will also provide added nutrients to the deer, aiding in antler growth amongst other things. On the other hand, purchasing a low-quality feeder can be extremely costly long term. American Hunter wildlife feeders are considered the most flexible feeding systems on the market. 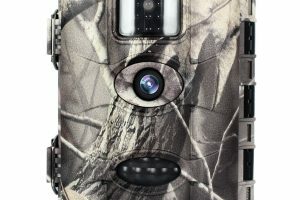 The manufacturer makes a diverse range of products, from hanging to tripod deer feeders, as well as additional accessories such as feeder kits, batteries, and chargers. They are also one of the very few brands that include an analog clock on their feeders. This feeder is designed to fulfill your every requirement when it comes to wildlife and feeding. Made with heavy-duty polyurethane and galvanized steel, it can withstand even the harshest weather conditions. 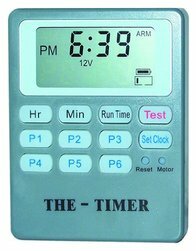 It also includes various unique features such as a digital clock timer, adjustable feed rate, and solar panel capabilities. These dynamic features are what set this feeder apart from the rest, making it one of the most innovative game feeders on the market. Many hunters prefer to set up their feeder independently. Feeder manufacturers understand this and have made a wide variety of feeders that can be set up and installed by one person. It is important to take note of the weight, bulk, size, complexity, and height of the feeder before setting it up to ensure you will be able to fill the feeder independently. If you wish to pack the feeder yourself, it is important to purchase a feeder that you are able to transport, set up and fill on your own. Some setup ‘hacks’ includes taking a ladder with you to set up the feeder. Alternatively, simply to stand on the bed of your truck when filling the feeder. On purchase, your tripod deer feeder will come with American hunter feeder manual as well as assembly hardware, minimizing the chance of anything going wrong during installation. Also included are American hunter feeder instructions to ensure set up is done correctly. 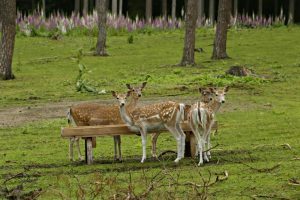 The most important thing when setting up your deer feeder is to decide on the best spot. The location should be far from your home, but still relatively visible. 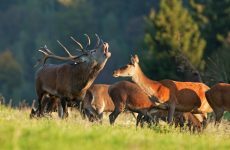 It is a known fact the deer can get slightly aggressive when they feel threatened, so ensure that it is far from where there is a lot of human activity. 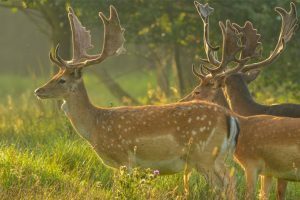 It is also advised to ensure that your pets do not have access to that area, as dogs can scare deer away. An alternative location can simply be on an open field or near a lush region. The main thing is to ensure that the feeder is visible but still at a decent distance from your home, family, and pets. The low spots will usually be the most trafficked areas, such as drainage areas, ditches or creek beds. Use this as a start to track your deer trails and follow the trails in both directions. 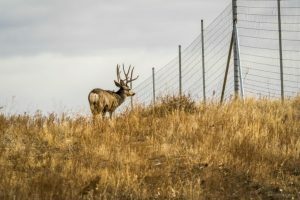 By doing so you will better understand the terrain and how the deer use it. Deer tend to enjoy a blend of grains including corn, packed deer pellets, and other grains that may be available in your region. Most grains can be purchased at a local store, grain shop or farm supply store. It is recommended to select whole grains such as fried corn as these are more beneficial to the deers’ health and can easily be replaced every few days, depending on the number of deer visiting your deer feeder. Corn is slightly cheaper than deer pellets but can spoil in harsher and colder weather. If you do choose corn, we recommend you check your feeder twice a week. When Do You Feed Deer? 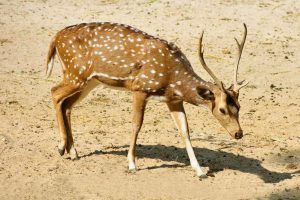 It is recommended to start during the cooler months, as food will become scarce at this time, and deer will be in search of something to eat. If you chose to feed all year, there is a high chance that you will attract the deer and their offspring in the spring and summer months. Does generally give birth to fawns in springtime, which is when most people will stop using their feeders. 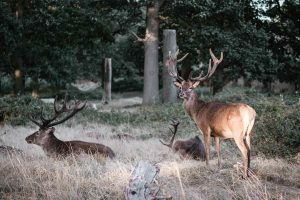 It is generally not necessary to feed the deer all year-round, but for wildlife enthusiasts, it will enable you to take care of and feed these creatures from the start to the end of the year. After you have chosen the location, feed, and frequency, it’s time to get started! Fill up your feeder as full as you can to avoid another fill. 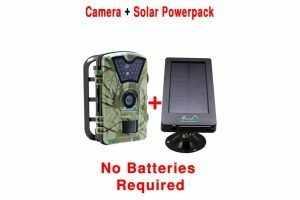 For additional efficiency, it is recommended to purchase the American Hunter solar panel model BL-R680-S to connect to your feeder. Ensure it is facing the sun. Set your daily feeds as well as the duration of the feed. 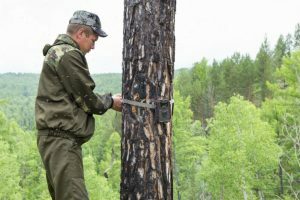 It is also recommended to set up a trail camera. 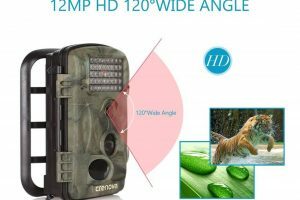 Keep this camera out of direct sunlight and close to the feeder. This will give you the necessary information to ensure future feeds are done with little to no problems. Reviews show that this product by American Hunter is considered one of the best feeders on the market. The 225 lb capacity tripod deer feeder comes with an RDE digital timer. This has the same housing as the R pro feeder kit but has been upgraded with the digital clock timer. This enables you to dispense feed as many as 16 times a day, on different days of the week, if need be. The American Hunter feeder has an advanced feed rate that can adjust from 1 to 30 seconds. With its heavy-duty polyurethane barrel and 8’ galvanized steel tripod legs, this feeder is made for harsh and colder weather conditions and can withstand the harshest weather conditions. 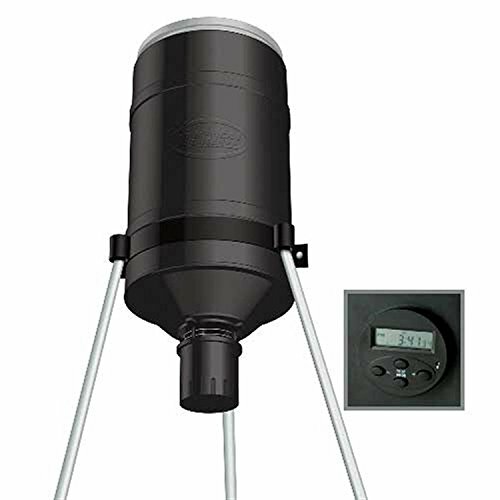 What makes this feeder even more unique and dynamic is its compatibility with a solar-powered charging system, allowing you to save money and time. The battery-powered timer is recharged automatically by the solar panel which is purchased separately. Because the feeder is also pre-wired, installation of the solar panel is easy. Although not quite as large as the American hunter 350 lb tripod feeder, many hunters and wildlife enthusiasts find that the 225 lb size is more practical because it requires less feed. As a result, less time spent carrying heavy bags of grain back and forth. This is especially handy during the colder seasons where carrying around extra weight may be tedious and difficult. 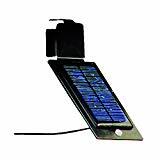 The American Hunter Solar Charger for R-Kit, 6V is a top of the line GSM product. This advanced technology converts sunlight into electric power, which in turn is used to charge the 6-volt rechargeable battery. It is weatherproof, rustproof, corrosive resistant and maintenance free with no exposed wires. Basically, it is an ideal add on to your American Hunter feeder. The American Hunter 180 lb tripod game feeder is a solid alternative if you are looking for a slightly smaller feeder. Its low height, at 5′ 7″, as well as its quick release lid makes it incredibly easy for you to fill. It comes with an analog clock timer, which is still extremely useful and efficient. This product includes an adjustable feed rate of 1-24 times a day, which ensures you are still able to feed your deer regularly. The product also features a Varmint guard with built-in wiring for Varmint buster (included) and Solar Panel BL-R680-S (not included). Simply put, it’s a great choice when you are looking for a smaller and slightly more accessible feeder in the American Hunter range. Finding the right feeder can be daunting as there are many variables that need to be taken into consideration. Going with a reputable brand that has years of experience in the field is therefore always advised. That is why the American hunter deer feeder is a great choice. When it comes to overall efficiency and effectiveness, it really is one of the best on the market. Whatever style of directional feeder you go with, whether it’s a hanging or tripod deer feeder, make sure you select one that is suited to your terrain and weather conditions. This will ensure that you get maximum functionality and effective deer feeding.